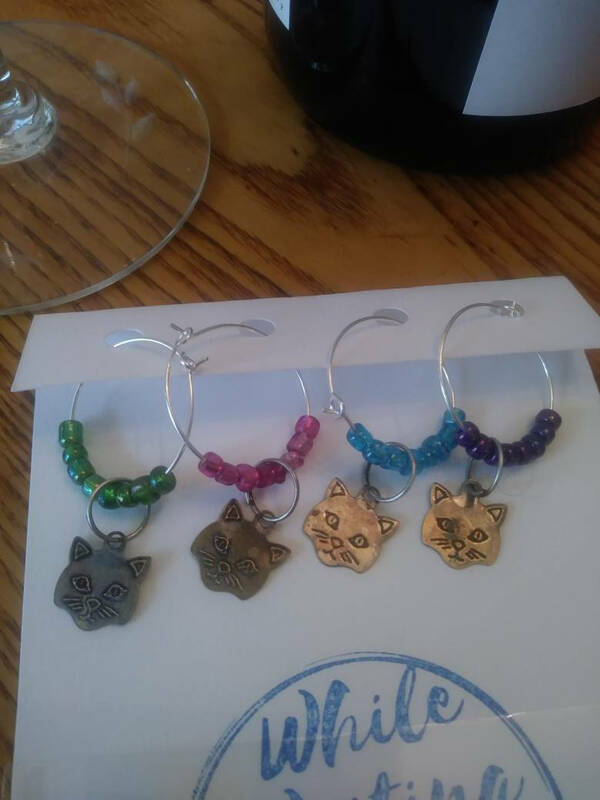 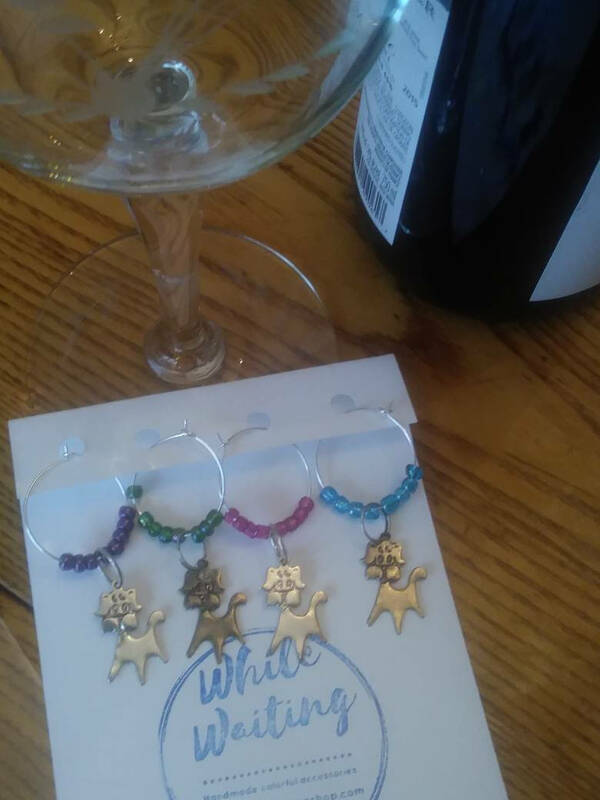 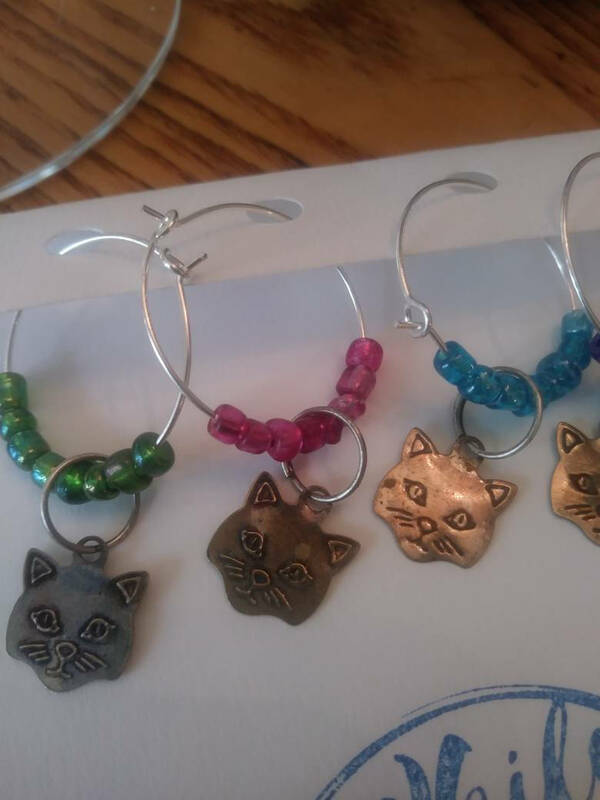 Fun little set of glass wine charms for the cat lover. 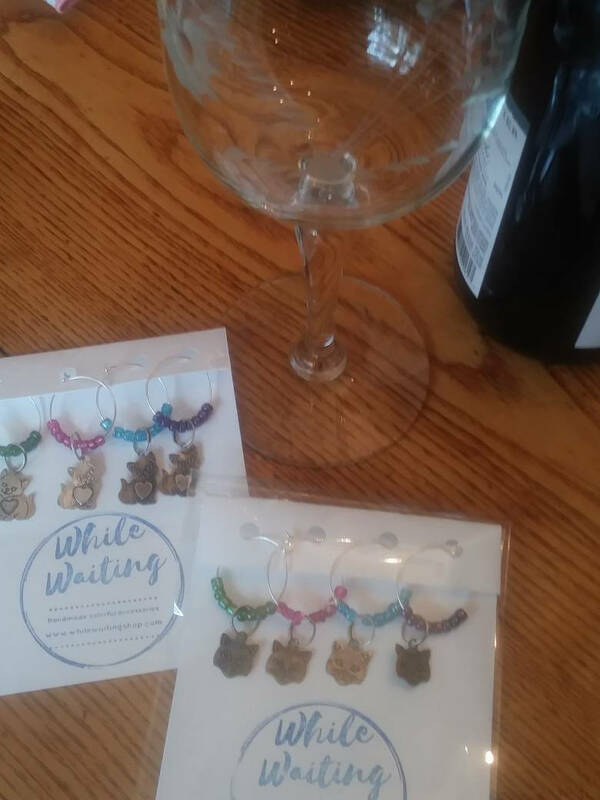 Matching, yet different enough to know which glass is yours. 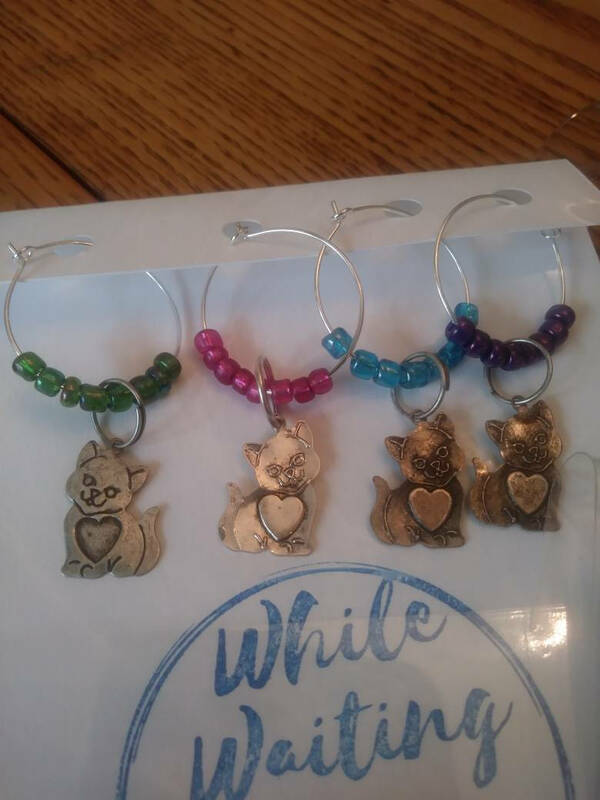 Choose cat head or heart cat.